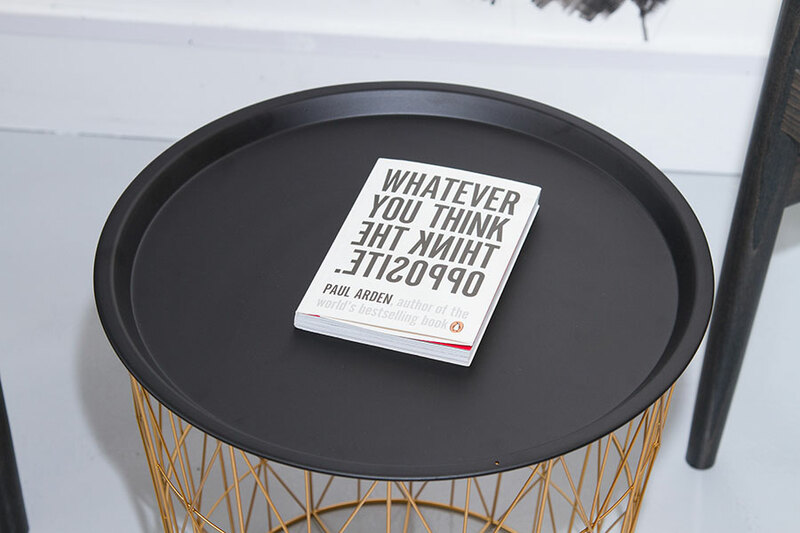 Back in December we hosted one of our Atelier of Success workshops in the newly opened BOLD meeting space near Old Street in London. 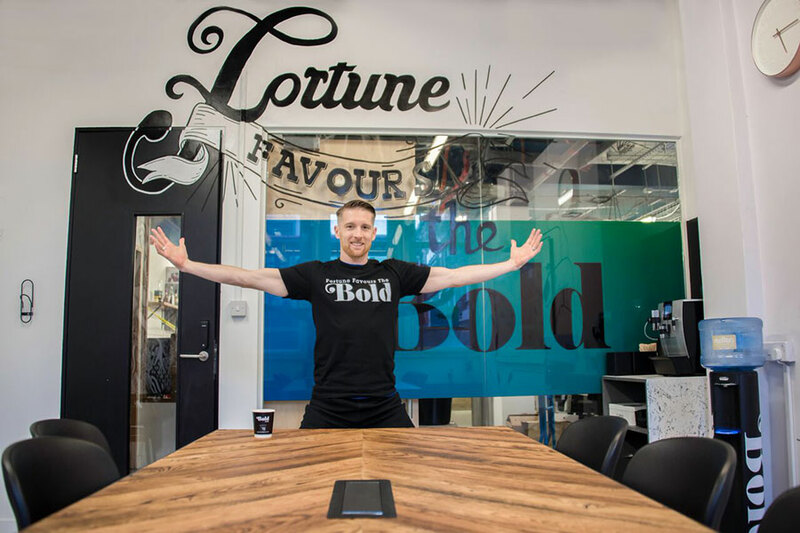 “Fortune favours the bold”, a wise man said, as I was told by the founder Caleb Parker of BOLD when we met up prior to our workshop. 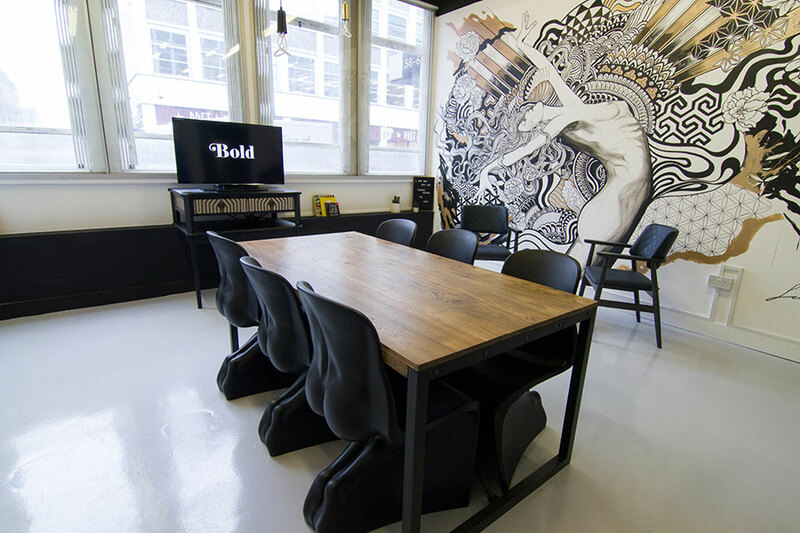 If you are a creative business owner, you’ll love the spaces which BOLD is planning to roll out in near future across London. As a creative myself I find that I work best when I’m in an environment which stimulates my thoughts and creativity. Not only that, I get also more focused and productive. When I think about it, most of my working life I was always seeking out such spaces even though I didn’t realise it at that time. Or, if I couldn’t find it, I created my own corner of inspiration. And so it was really great to meet Caleb to find out more about his vision for business people who want to meet and work in cool, design-led interiors with all the necessary professional equipment. The space was designed by top interior and furniture designer Gordon Byrne, of studio GBD and it is one of those spaces that challenge the status quo for sure. 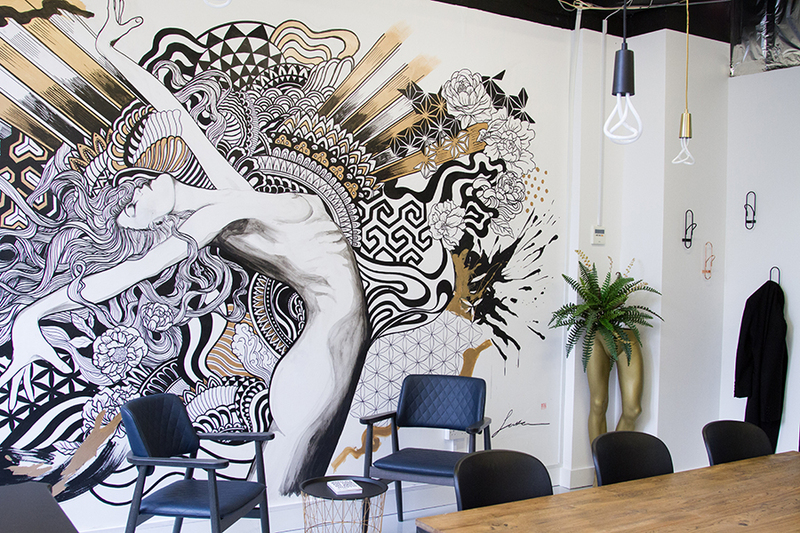 Working with emerging designers and up-and-coming artists, its focal point is the large illustration mural by Luke Gray . The mesmerising artwork brings a real sense of empowerment to its contemporary design. There are other elements in the space that support the BOLD scheme such as the MuckNbrass Mannequin planters (check out ESTILA Volume 5 for the exclusive interview with Zoe Pocock, MuckNBrass founder and creative director – small world indeed!! I only realised how small after I spotted the mannequin while visiting BOLD), and the His & Her Chairs. 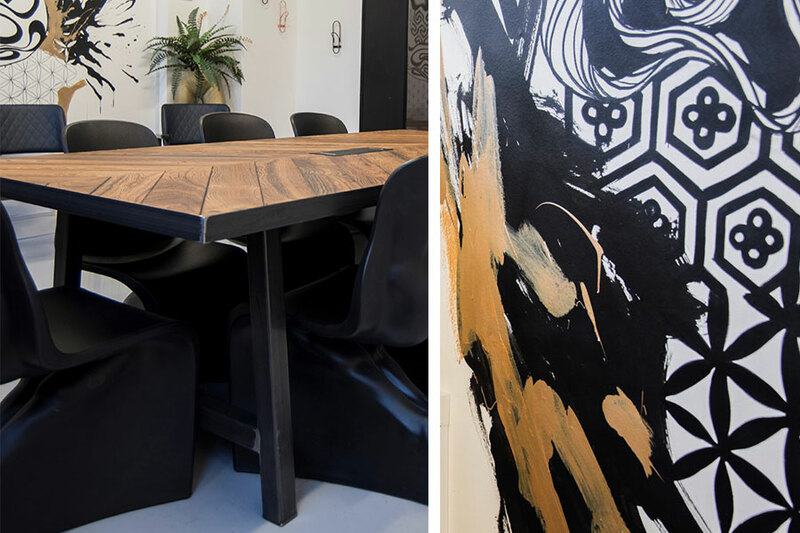 Whether you need an upbeat space for professional meetings, workshops or creative sessions, BOLD is a perfect place to create new ideas or collaborate on new projects. We will be using the space for our workshops this year.